On November 16, a group of students in the Faculty of Fine Arts and Design from Ion Creangă Pedagogical State University came to visit Dji. 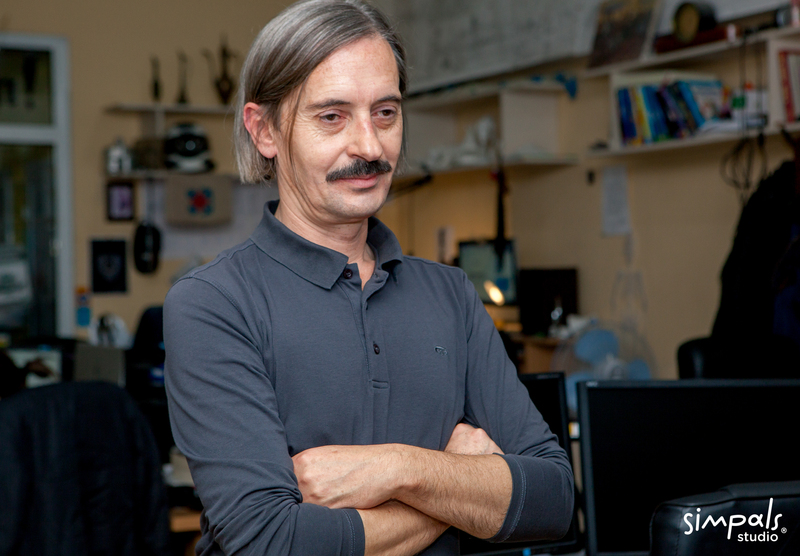 The one who initiated the visit with the purpose of learning the other side of the graphics, namely the animation, was the computer-assisted graphics professor, Vlad Tabac. „They are good at theory, but it’s very enticing to see how it can be applied in practice, and especially in this field. The administration of the faculty encourages such visits so that students can see their own abilities. 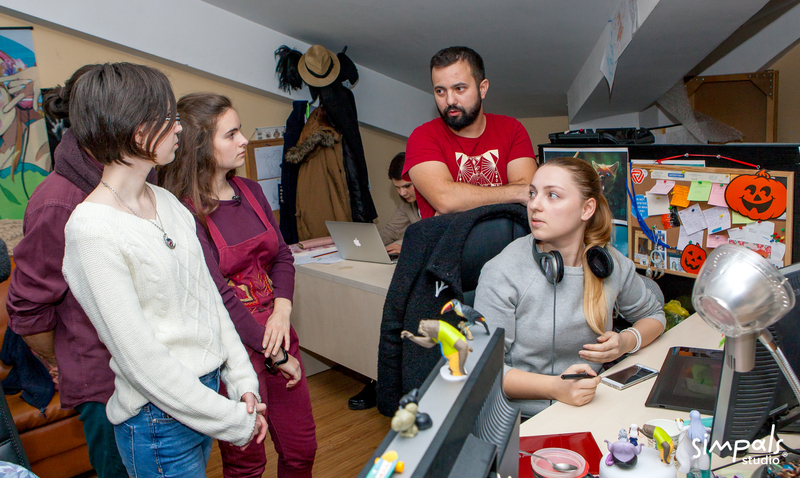 I have also been to printing houses, but I’m sure young people like the cartoon studio much better”, mentioned professor Vlad Tabac. 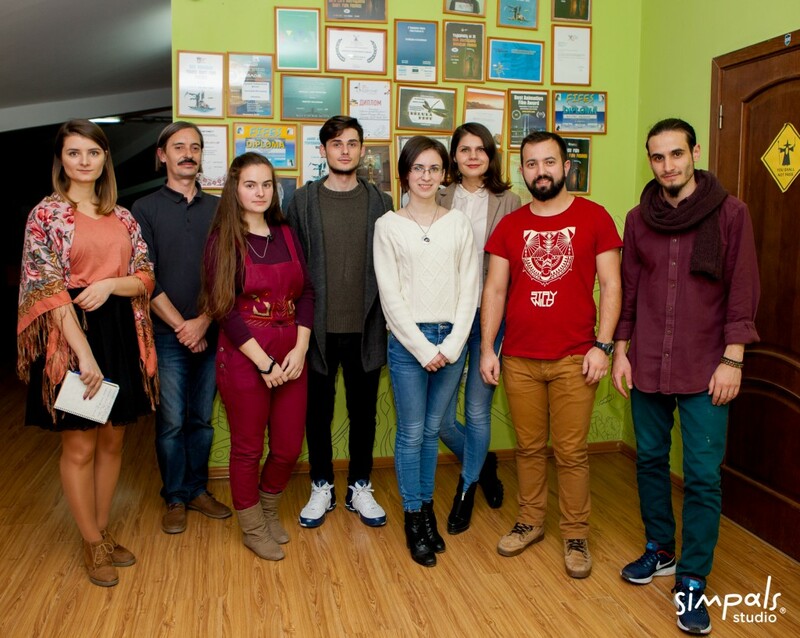 The young people, being guided by Serghei Kirilov, 3D supervisor, and Ana Volosinovici, project manager at Simpals Studio, made a trip through all the stages of creating a project, from idea to the finished product. 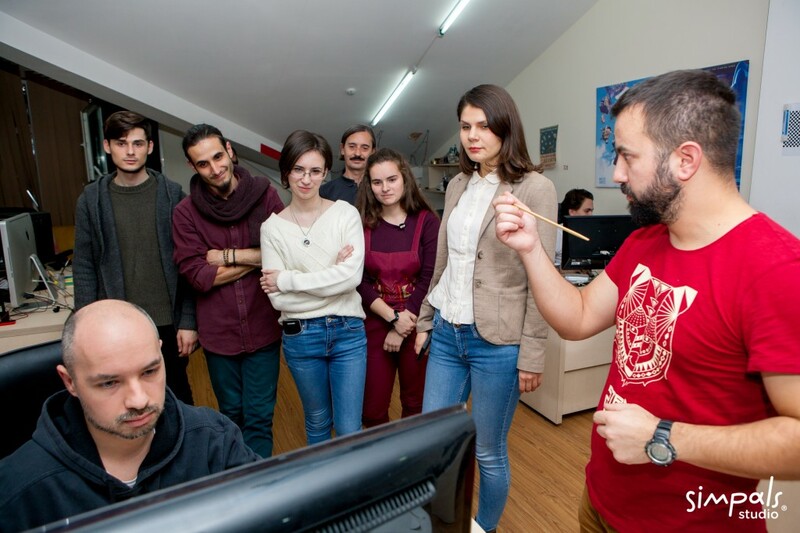 The students were able to see what a drawing sketch looks like, the way a character acquires its physical properties, the way the animators make the characters move, and see the final results of their work. Even though it seems so simple at first glance, after having watched all the adventures that our characters and their creators go through, the students affirmed the opposite: „We didn’t know it was so complicated to make an animated cartoon. It requires a lot of time and diligent work. But it’s very interesting at the same time”, confessed Scutelnic Marina, a student in the Faculty of Fine Arts and Design. 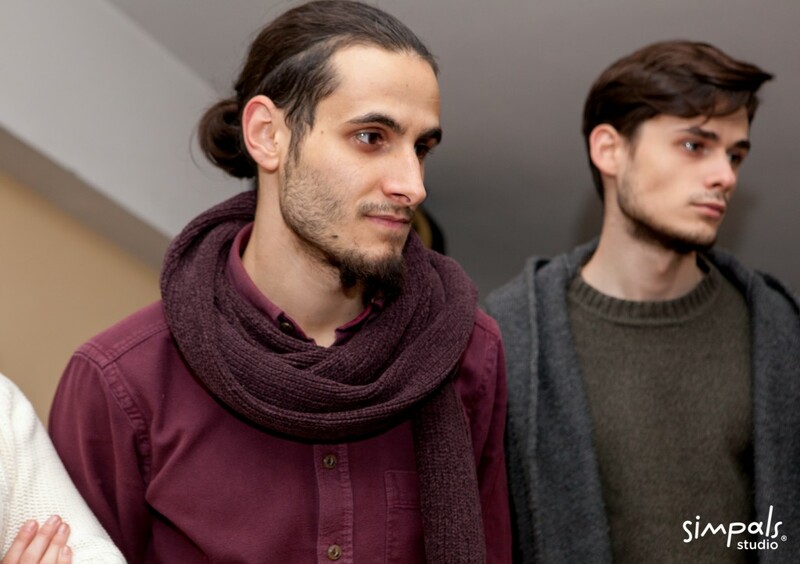 Nistreanu Vladislav was also amazed at the way the Simpals Studio artists work until a cartoon gets on screen: „I am still impressed. Of course, I liked what I saw. I’d love to be able to work here”. 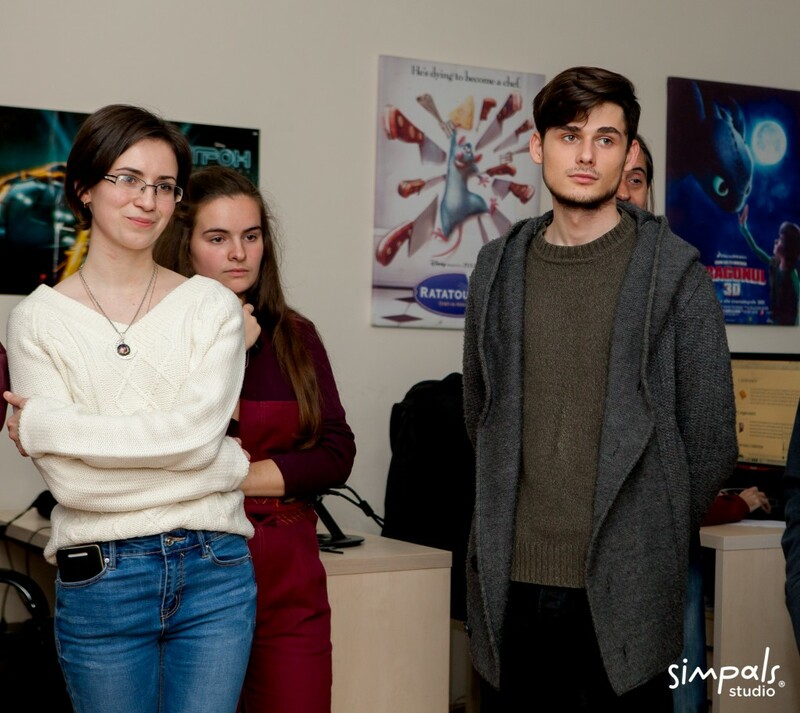 The professor who accompanied the students was also impressed by the work that Simpals Studio is doing: „You are better than Pixar!” remarked Vlad Tabac. The future illustrators and designers have been even more impressed at finding out that Simpals Studio could offer them the opportunity to practice in the Simpals Studio. 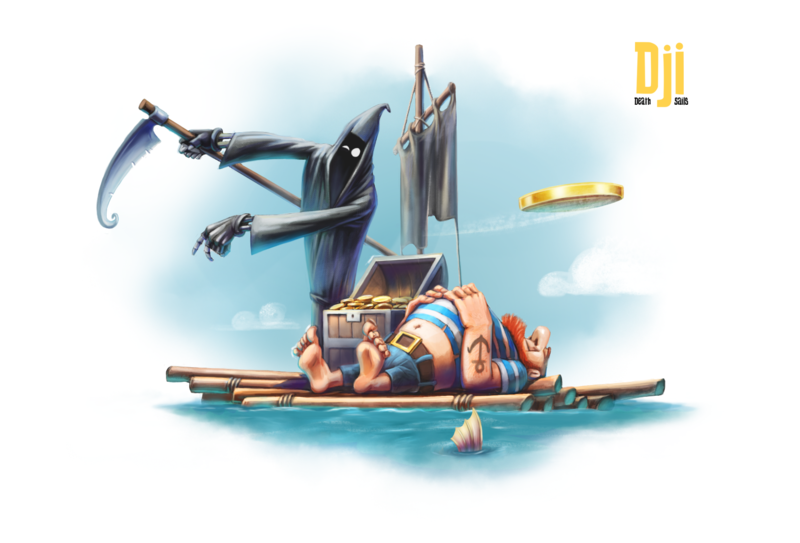 Even though they witnessed how much patience and effort need to be imported in just one second of cartoon, they expressed willingness for such challenge. The animated films released by Simpals Studio have participated in more than 100 international film festivals, including Annecy, Anima Mundi, Stuttgart Festival of Animated Film, Siggraph, and won more than 70 awards.